If you’re an artist, band or songwriter; do you want to hire a record producer? It is very important that you understand what a producer can do to your projects as well as their expertise. If you know their job description very well, then it’s much easier to find a qualified producer for your music. The ultimate goal of music production is either to complete an album or a single. An album is a collection of recordings of around 12 to 15 tracks. A single is a track that will be promoted for radio airplay and other marketing purposes. You might also hear about “EP” which is a collection of songs greater than 2 but less than 5. 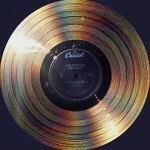 A record producer is being hired by the recording label or an independent artist to complete an album, EP or a single. If you are new to music business, it would be useful to read this post on how the music business industry works. Once the record producer officially accepts the recording project by signing the contract (between the label or the artist); the producer will be provided with the list of songs to be recorded for the project. This is not a final list and the producer itself can suggest some songs to be added to the project. Even the artist can suggest what songs they feel would fit the project for their own artistic vision. The final decision will be approved by the recording label. If you are not signed to any label, then you will be the one to approve. a.) Get to know the artist songs to be recorded in details. This can be done by listening to the available band demos of the songs or listening to their live performance. b.) 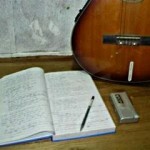 Know the weakness of the music to be recorded and find ways to further improve the song commercially. c.) Understand the artist strengths and weaknesses when it comes to performance. d.) Formulate tracking plan. These are the details of the actual recording session. e.) The recording producer will then assess what type of recording studio will suit best to the project based on the complexity of the tracks to be recorded upon assessing everything (the artist and the songs). For a starting punk rock band in an indie label, a home recording studio might fit the bill. But if an artist is a pop or country that needs elaborate and complex arrangements, then a bigger recording studio should be needed. f.) Finalize the recording engineers, mixing engineers and other studio crews for the job. In summary the pre-production phase will let the producer know the artist and songs in detail and formulate detailed steps on how to further improve their song during the tracking and mixing stage. 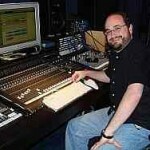 The record producer will pay the studio (by renting it) using the recording label(or artist) budget. Actually the one that will finance the album (from recording, mixing to mastering) is the recording label (or artist if it’s self-produced). The recording session will then start, the artist and all the session players will be reporting to the studio based on the tracking plan. The recording producer will ensure that all tracks are recorded perfectly according to the plan. If there are mistakes or a certain part of the song are not performed very well; the recording producer will ask the artist to re-record the performance until everything sounds perfect. How much money does a music producer make? How do you become, start & market yourself as a Record Producer?